Fashion Q&A: Can I revive my faded jeans? Q: My favourite jeans are really faded – is it possible to restore their colour? 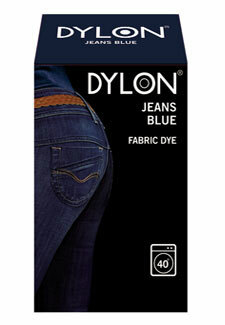 A: I suggest you use a machine dye to bring the colour of your jeans back to life. Dylon have a wide selection of colour available. They offer a denim colour but you might want to try out their new winter colours. They are simple and easy to use, just pop them in your washing machine and after one wash cycle you’ll have a new looking pair of jeans. Dyes cost £6.06 and are available from John Lewis and Robert Dyas. HAVE YOUR SAY! Have you got more advice to offer on this question? If so, make sure you add a comment in the box below. if you’ve go a question for one of our experts, you can also post that below as well.